Acid Proof Brick Lining offered comes in quality constitution finish and provides for superior resistance against chemicals like strong acids, alkalis, oils, solvents. Further, these brick lining material provides for high usage effectiveness and can handle temperatures up to 1700 c.
These furane “C” material is 100 % carbon filled mortar and finds extensive usage especially in areas requiring superior resistance to fluoride salts, hydrofluoric acid, strong hot alkalis. 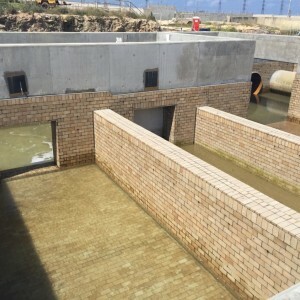 Acid Proof Bricks offered find suitability for use on locations like tanks, reaction & storage vessels, floors, drains, effluent treatment plants and others where there is high possibility of damages due to acid presence. Further, the superior construction standards of these bricks also provides for uniform coverage. Some of its features include available in standard black color and other color choices depending upon order quantity; superior compressive strength kg/cm2 of 350; capability to withstand temperature of up to 17p degrees; offering high bonding strength and performance effectiveness; also resistant to effects of alkalis, oils, solvents; made available at competitive prices.